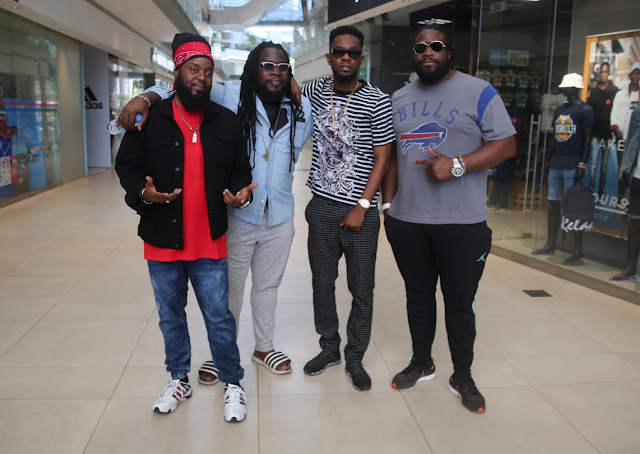 As GRAMMY award-winning siblings Morgan Heritage keep making history with remarkable various endeavors, their latest offering is a sensual ode to the ladies featuring Multi-award winning, top billboard charting Nigerian star Patoranking. "Pay Attention" is the official second single from Morgan Heritage’s highly anticipated Spring 2019 new album. Inspired by the wise words of French philosopher and political activist Simone Weil: “Attention is the rarest and purest form of generosity”, the emotional single captures the perfect blend between dancehall music from Jamaica and the Afro-beat sounds from Africa. It was an all round labor of love for all the artists involved who have each in their own rights gained worldwide success on their own merit. To unite on the track was an humble experience, “It’s truly an honor when we can work with our peers in the music industry around the world and see their professionalism first hand. Though he has become a giant of an artist in Nigeria, Pato is extremely humble and while filming the video in Nairobi, Kenya it would seem like we knew each other for years by the way we clicked,” says Peetah Morgan, adding, “We are looking forward to sharing more music from our new album coming later this Spring and hope the world will love the musical journey we will be taking our fans on. Jah Bless!" Filmed in Nairobi, Kenya and Masaai Mara, Kenya, the video gives viewers an insight to Brand Kenya and the Nairobi Experience. Directed by Jordan Hoechlin & Mojo Morgan with production for the video made possible by Roya Entertainment, "Pay Attention" featured four elegant timeless beautiful models provided by an agency owned by supermodel by Ajuma Nasenyana.